Join the Buca di Beppo eClub to receive a free pasta dish and dessert on your birthday. You will also get a treat for your anniversary. 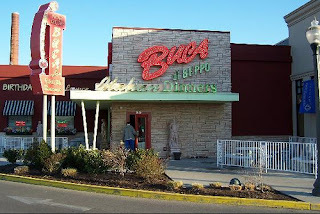 Buy discount gift cards for Buca restaurants, combine them with coupons for extra savings. Buca large, Buca small and lunch portions only. Print coupon for a $20 discount on any combination of two pastas or entrees Buca Small or Buca Large only. Complete the form to get your coupon for free Buca Small Fettucine Alfredo. Feeds two or more! Hurry, limited coupons available. Print coupon and feed 4 people for $40. Includes one Large Garlic Bread, One Buca Large Salad, One Buca Large Pasta (choice of: Spaghetti Marinara, Spaghetti with Meat Sauce, Fettuccine Alfredo, Baked Ziti or Ravioli al Pomodoro or Linguine & Clams). Buca Di Beppo is a family style Italian restaurant where traditional favorites are served up in large portions that are meant to be shared. Save some cash on a family night out, special occasion, or just an excuse to enjoy delicious pizza and pasta with those you love using our coupons.